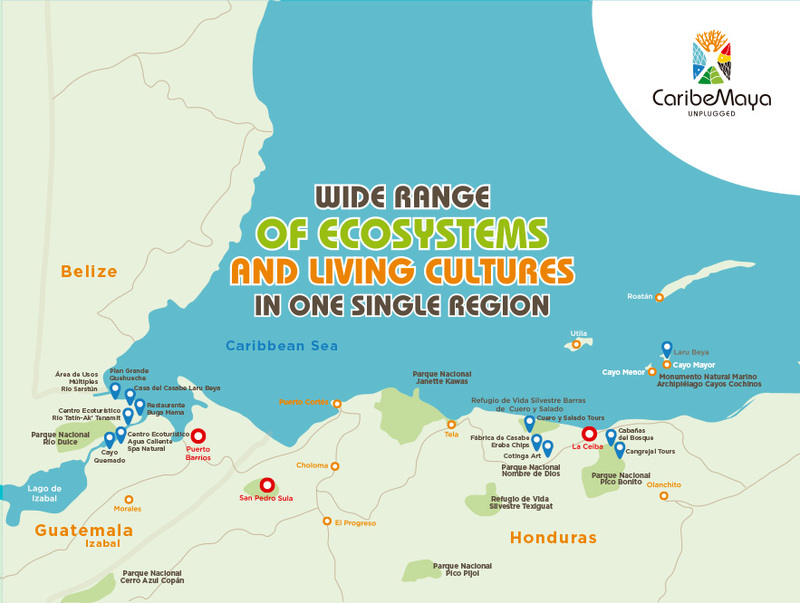 CARIBE MAYA is an initiative that promotes sustainable tourism with community management in Guatemalan’s Caribbean coast and in the coastal zone and islands of northern Honduras, that are part of the Mesoamerican Reef System. This fascinating region is characterized by its exuberant nature and the highest mountains in the Caribbean, as well as its prestine barrier reef better known as the second largest in the world. The place where the Mayan and the Garifuna cultures converge. 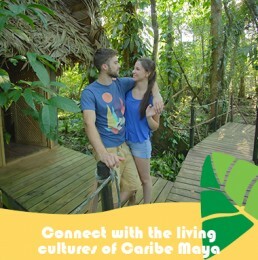 Stay in the sustainable Community Managed accomodations of Caribe Maya. 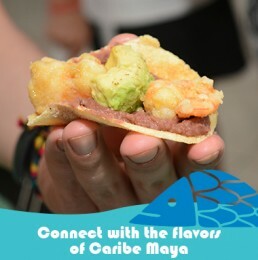 Discover and exploit the exotic flavors of the Maya and Garífuna cultures. Enjoy cultural experiences, gastronomy, active, wellness and archeology. A sustainable tourism initiative promoted by the World Wild Life Fund (WWF) and the Inter-American Development (BID). Experience the Caribe Maya of Guatemala and Honduras, where the Mayan wisdom and mysticism merge with the Garifunan joy an flavor; where you will disconnect your body to connect your soul. Places that smell like copal -an aromatic tree resine-, taste like coconut and sound like the rhythm of drums, making your spirit throb. Adventures that will leave you breathless, culture that will fill you with experiences, while promoting sustainable tourism with community management in sublime protected areas. 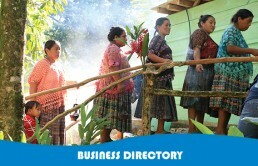 Meet our six entrepreuneurs in Guatemala and the six in Honduras. If you are a travel agent, here are all the contacts. 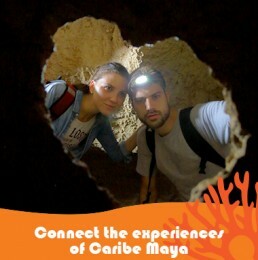 Enjoy our video and discover what you will find in CARIBE MAYA. emotions, dream landscapes, traditions, culture, gastronomy… come and enjoy it.